We reviewed in the previous post How To Reach Faster Your Goals Through Your Past? If you didn’t see it yet, you can check it out here. If it sounds or feel like a bold promise, it is. I’m going to do my part and share some personal perspectives with you “with confidence” just to illustrate the point of this blog. I am confident that in the end of this sharing you will be able to understand on how to generate confidence at will when you need it. How about that for a confident and bold promise? If you’re ready for a ride, let’s jump in. It’s very important to discern one key distinction about confidence. 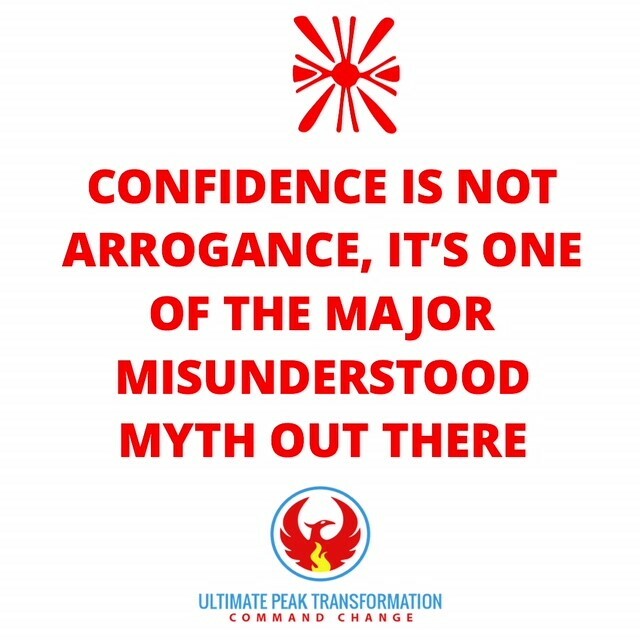 Confidence is NOT Arrogance, and it is one of the major myth misunderstood concept out there. What is the difference and the nuance between Arrogance and confidence? Arrogance is always related to the ego and it has a sense of entitlement that comes from people associating with the past. Arrogance is born from a false sense of superiority by comparing self to other people; this is why arrogance is limited at the ego level, because it is concerned with competing and comparing self to others; While confidence on the other hand has an expanded perspective because it is looking beyond self as we will understand soon. Arrogance is framed from a relative “position” vantage point. For example, a prince who has inherited the title of “prince” because of his birth parents might feel arrogant toward a non-royal child because of society standards. Arrogance is not sustainable and not build on solid foundation, while confidence is timeless, and without boundaries as we will see later. Another extrapolation to not confuse, is the far-right polarization of arrogance, or sometimes associated with being presumptuous, which is even worse than arrogance as it’s an empty sense of arrogance, in a way that it is purely based on a sense of entitlement and with lack of respect towards other. Notice, Arrogance cannot exist by itself- Arrogance needs a company- arrogance is always in context with someone. Second major misunderstood myth about confidence is what I called the amateur confidence. The amateur tie a direct correlation between confidence and performance, results or outcome achieved or attained. That’s a rookie move. Confidence comes from within and is not tied to our performance. I’ll believe it when I see it first. In fact, part of the human condition leads us to lean toward that kind of conditioning since birth. 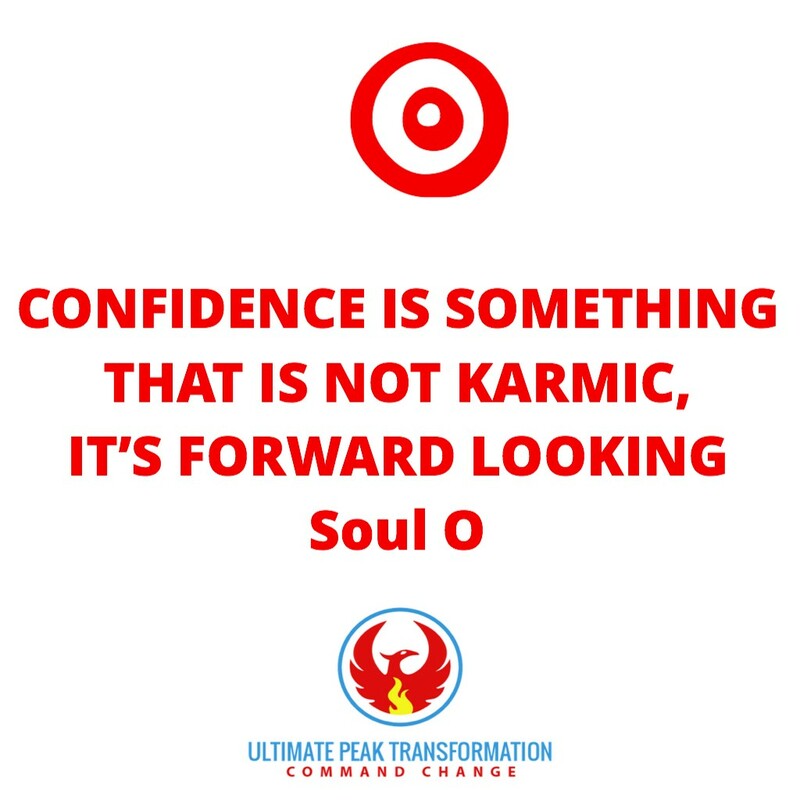 Confidence is something that is NOT karmic, in fact that’s probably one of the only element that normalizes our lives on earth like death is for every human being. Now, that we know what confidence is NOT, let’s learn about what confidence is all about. Confidence comes from the Latin CON- fidere. The prefix “con” means “with”, while “fidere” means faith, trust; meaning confidence is derived from the meaning of moving with faith and trust. It’s important to make a difference here, faith is not necessary here a “religious” or blind faith- rather a trust based on a reliability and on something that we can count on no matter what. Confidence, unlike arrogance (which is past based) is forward looking -based on trust. What trust are we talking about? It’s a trust based on an unfailing relationship- that relationship is the covenant we have, before even our birth since the first heart beat we have in our mother womb- it’s the abiding relationship with life itself that’s beyond any circumstances, or any human beings. Any master, any legend that you truly admire that built and develop an unshakable confidence had at some point the deep seeded belief- that no matter what their circumstances are, there is something within them that is bigger than their current circumstances. Whether, it’s Thomas Edison creating the light bulb, Columbus daring the ocean, Steve Jobs chasing his dreams of being a business tycoon and making a “dent” in this universe, or a Michael Jordan excelling on basketball court… they all had one thing in common- they all new within that there’s something greater than what their circumstances were. 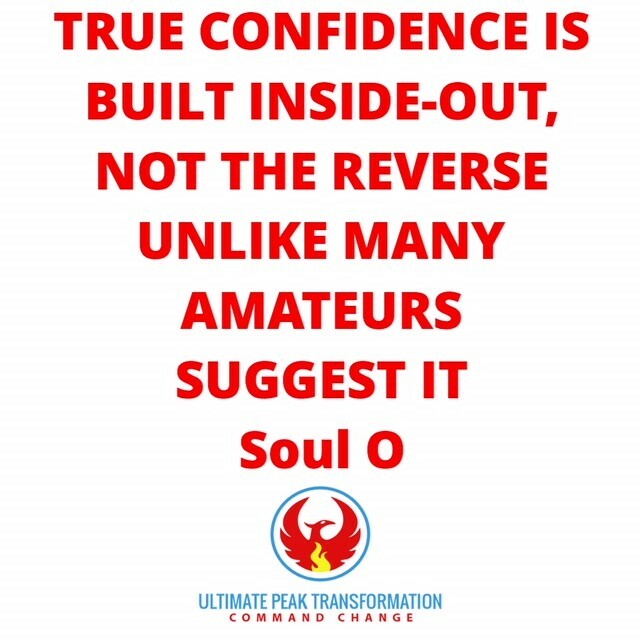 Confidence is built inside out- Not outside in unlike many amateurs suggest it. Now let’s find out and see how we can develop that infallible confidence. I’m going to pause here and I really hope you do this exercise (that might seem trivia), as this is something to be experienced, again and again, no matter how many times you’ve done it. Let’s take a deep breathe right now. As you are reading these lines. Could you please stop for 5 second and take a deep breathe? Can you feel the air in your lung? Please take another deep breath. three or four times if you can. Now let me ask you the simple question, that breathe that you took, did you perform that breathe by yourself? Were you mindful and present in those inhalation moment? Did you feel this power that is with you that allows your heart to beat as well? There is a power with you, as you feel your breath, or your heartbeat. your religious affiliation, that power is real beyond any circumstances, beyond any interpretation. To simplify, why don’t we call that power as life itself? Now, this is where you build within your unshakable confidence-with three principles that are undeniable. If you prefer video, you can check it out here. Adhere to the principle without a doubt, that life given to you, precede any circumstance, organization, institution that there is. What is not used dies, or it’s supposed to grow. That brings me to the point about life itself- Life is always seeking to grow and expand. The seed grow from the ground to become a tree. Life is always seeking to expand itself by definition or it will evolve and change its form. I can trust life itself. It’s a covenant with something bigger than myself, or any other relationship we can experience as human being because it’s precede everything else. That’s where true confidence is built. From within. It’s not something given to you, or based on “conditional results”. Indomitable Confidence is build from the deliberate practice of understanding our relationship with life itself, that goes beyond any society norms, or standard, or results. Moving forward with Confidence is then trusting on the relationship we have with life itself. It’s acknowledging that there is, this power inside us, with us, by us and for us always at all times as long as we keep breathing and our heart is beating. If one truly understands this principle and adhere to it. Life itself become a playground where you are here to develop and grow your capacity, so you can contribute. With that, you can approach any game, any project, any goal with unshakable confidence- that no matter the outcome, you will crush it. The video here is also explicit here. Now I’m curious about you, Post below what you do to generate your confidence?